Ladakh the Northern most part of India, is a highly elevated cold desert where human habitation occurs at altitude exceeding 4’000m. Two of the world’s mightiest mountain range: The Karakoram and the Great Himalayan surround it in the north and south respectively, geographically the northwestern extension of high and dry Tibetan plateau. Ladakh falls in the yellow belt as the Himalayan wall exercises a severe check on the flow of humid air from the southern plains. Consequently, rainfall is scant and the general terrestrial features of the area are dry and deserted like. The draught in combination with the incredible elevation produces a highly rarefied atmosphere, which is marked by great fluctuation of seasonal and diurnal temperature. 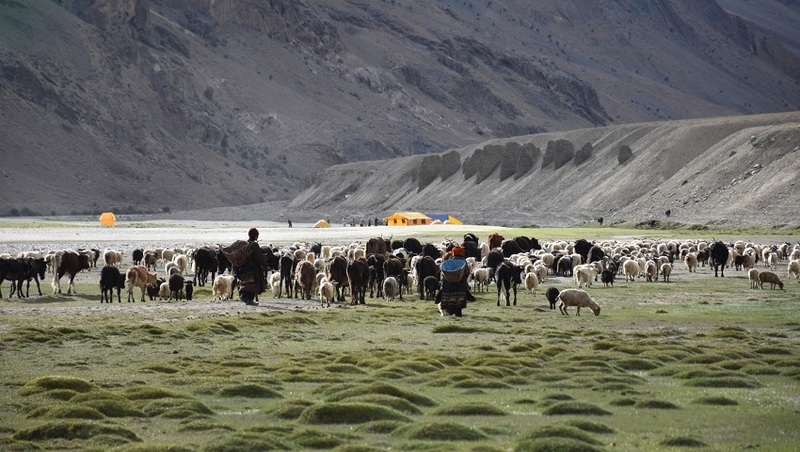 Ladakh is a live repository dwindling Tibetan culture heritage. It is in the Ladakh alone one can still savoring the variety and beauty of unique and self-contained Himalayan Civilization. Ladakh is also fondly known as the &#039;Land of High Passes&#039; by the Indo-Aryan people who reside in the area. It is located in the Jammu and Kashmir State of India between the Kunlun mountain range in the north and the main Great Himalayas to the south. It is a beautiful place to spend a vacation as shown by the following facts about the region. In the 8th century, Ladakh was annexed by Tibetan Empire. Ladakh frequently changed hands between kingdoms of China and Tibet. After the break-up of the Tibetan empire, separate Ladakhi dynasty was established. The dynasty spearheaded the second spreading of Buddhism, importing religious ideas from north-west India, particularly from Kashmir and spread in Tibet proper through Ladakh. Faced with the Islamic conquest of South Asia in the 13th century, Ladakh chose to seek and accept guidance in religious matters from Tibet. At last, Dogra Kings established their rule over Ladakh. European influence began in Ladakh in the 1850s and increased. During British Empire, Ladakh was the Princely State of the Dogra. At the time of the partition of India in 1947, the Dogra ruler Maharaja Hari Singh signed the Instrument of Accession to India. Pakistan raiders had reached Ladakh but were repulsed. In 1949, China closed the old trade routes and built roads connecting Xinjiang and Tibet through their area in 1955. China also built the Karakoram highway jointly with Pakistan. India built the Srinagar-Leh Highway during this period cutting the journey time between Srinagar and Leh. This route, however, remains closed during the winter due to heavy snowfall. Project to keep this road functional throughout the year through tunnels is being considered. 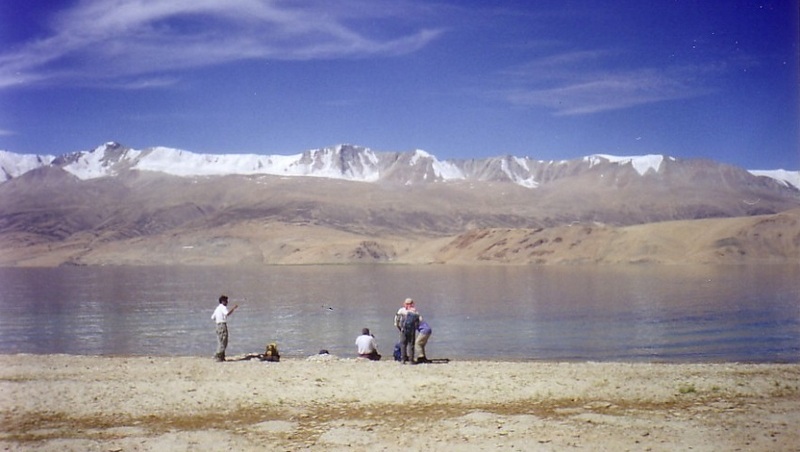 Tso Moriri lake in Changthang region of Ladakh is a beautiful high altitude lake in Leh Ladakh which infact is the largest high altitude lake in India that is entirely in Indian Territory. 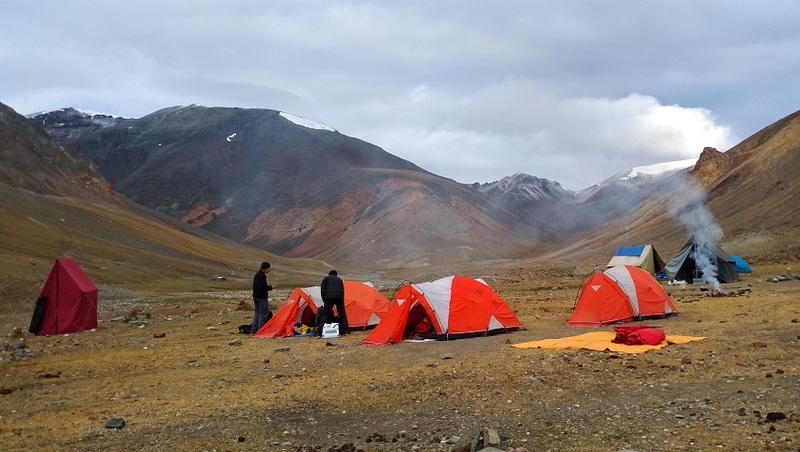 One cannot pitch tents near the banks of Tso Moriri as it is part of the wetland conservation reserve. Dear friends! 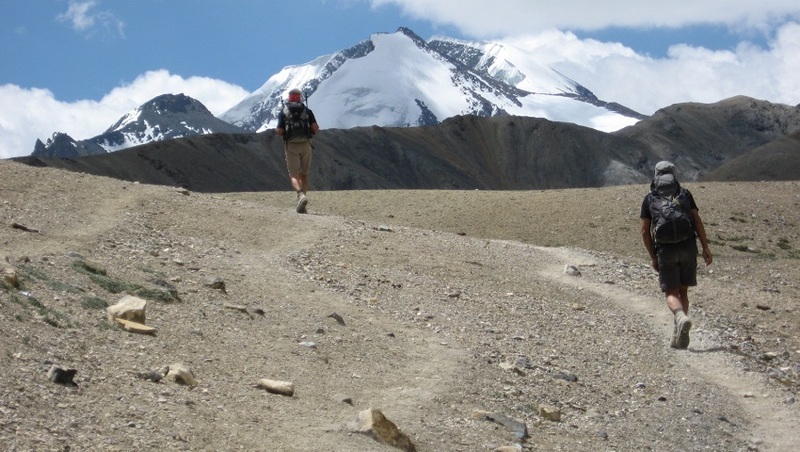 "It was a new experience and unbelievable impression for me to take trek Zanskar. So beautiful landscape and never erasable old tradition as well as well conserved heritages were shaking my heart and poor brain. Especially I was shocked so much by the sincere help and devotion of our trekking staffs like as guide, cook and helper. Ah – there was a good horseman never exhausted! Again I am appreciating for the help and supports of our good trekking agency ‘’Potala Adventurers’’ as for the best service and devotion meantime. So many thanks for your efforts and favour so far!
" Dear Tenzin, So many thanks for your help and devotion. I will never forget your service and companionship, so at the next season I will look for you no doubt for my trekking and trip schedule to Ladakh Zanskar. And I will introduce in my community and relationship so as to recommend highly. I will send my guide book on publishing. It may be released the next year summer season. Please wait for till than OK. Again I’d appreciate for your support and favour together with Potala Adventurers travel agency. With my best wishes. " " Dear Ravi Tamang, I was always happy to take your best food in my trekking term. Even in Korea return I will never forget your good service and devoted efforts for us from the first to the end. Again I appreciate for your help and the best service. I will naturally recommend you in my community. Moreover I wish you and I would do with in other trekking plan i.g. in Nepal or Uttranchal region the next year OK.
Any further comments between us, yes, let’s discuss in other route. Beside hope your handsome guys (sons) to be well either, Sonam and Roshan! All the best"
" Dear Indra Tamang, So many thanks for your beautiful services and favour. I will not forget you and your help all the times. Furthermore, I hope you should grow more and more. So as to be a good cook or trekking leader like as your brother Ravi. Would you? I believe and please hurry up to make child between you family, of course you and your darling wife. Otherwise you shall be like as I who has no child during 12 years. Anyway just joke. But do not ignore my advice. Try and try than you shall get the fruits.
" Dear Suresh, I am envying your power and energy during all the trekking period. How did you get yours? But, the most respectable past is right your help and support for our wonderful trekking. Like as so many horses of yours. I hope you to spend nice your time and life style as possible as.
" Dear Indra, Hello, you were very kind helper and always smile to me, when I want trekking horses, you accepted it. And let me know ways. I’d like to say thank you all of that (especially thank you let me know perfila mountain way) it was very kindness. I hope see you again in this Dec. in Nepal with Ravi. I wish always you happy. " " Dear Ravi, I am Eun Young, You are so so nice guy and cook. All your food was amazing. I’ll never forget your smile and kindness. And I really wish see you again this Dec. at Jiri. I wish your health and happy life. See you soon. " " Dear guide Gombo, I spent nice time with you. You are very nice guide. You always make me happy and help me. I was so happy because of your strawberry joke. Thank you for everything. I’ll wish your healthy life and happy. " Say good bye. 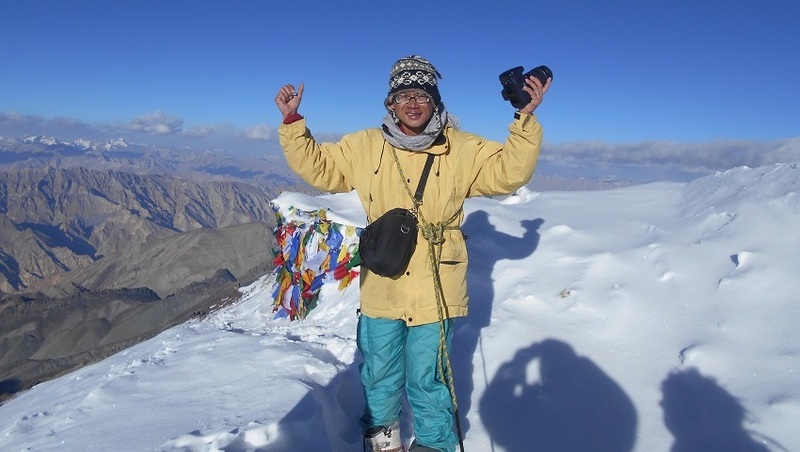 “I have completed the Parang la trek from Karzok to Kibber and Kanamo peak from 08 Aug. 2011 to 20 Aug. 2011 organized by Potala Adventurers, with leading Guide Umesh and assistant Guide Ravinder. They are professional, experience, knowledgeable, friendly and helpful. Umesh has assisted me several times on the river crossings and willing to wait for me, as I am always walking slowly. 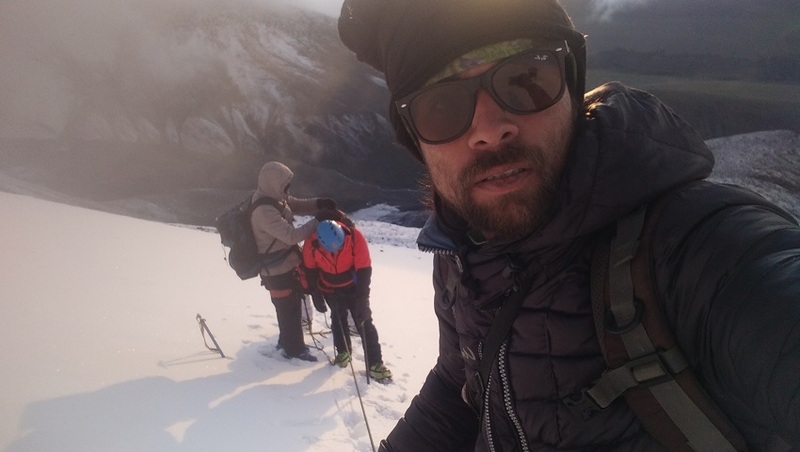 With no complaints, and also give me support with encouragement on passing the Parang la pass (5450m) and on the Kanamo peak and give full support on during the road blocking on the Batal – Chatru. He also shared with me of his climbing experience and others about the regional history & culture to make the trip interesting. Ravinder served as assistant guide but also acted as cook on the trek. He has done a good job on cooking includes breakfast, lunch, afternoon snack and dinner. I like much of his fried rice and noodles, potato chips and mixed veg. He also clean up campsite area and burnoff the garbage before leaving, in support of the eco-tourism. I also like to thank you Tenzin Ningbo to secure me the bus ticket New Del / Manali / Del and the booking on the sunshine guest house which provide me the comfortable and nice stay. As well as to Ningbo for all his support me during my stay in Manali. "Potala was exceptionally response to our requests for specific itinerary concerns. We wanted a slower than was originally planned and Potala made certain each day was perfect for our 70 years. Potala gave us the feeling that nothing was more important to them than the success of our trek. It was a great experience. Team work is so important in making a trip successful. 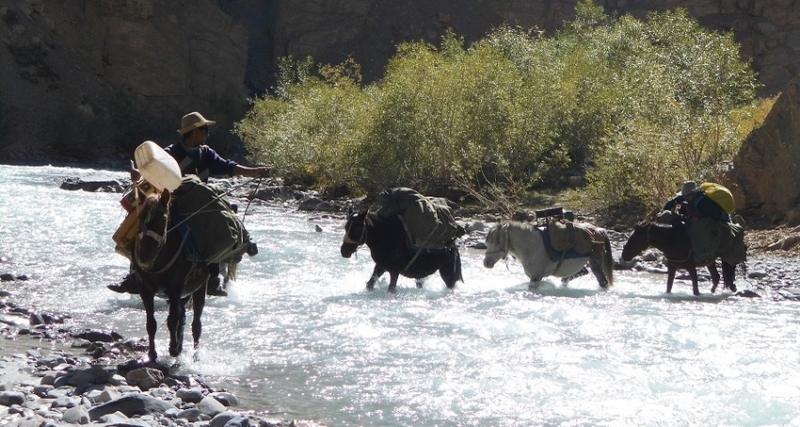 Our Guide and cook, staff and horseman all work together, each one making certain that our trek was successful. Tent went up promptly, food was delicious, horse even carried lunches some days. Our guide was very attentive to river crossings, to good monasteries and school visits and to our being happy. One staff member showed his knowledge of Himalayan plants with us. Everyone waited for us at Shingo la that was so special". "Potala Adventurers was responsive to all questions and concerns. 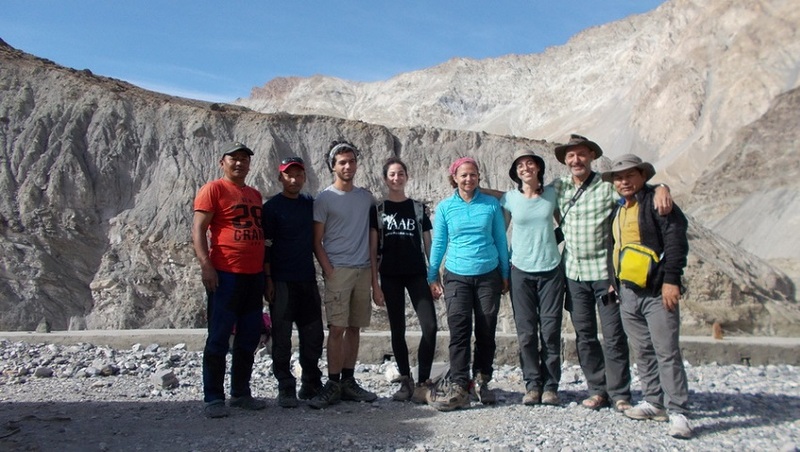 They were willing to take on our group of four, ranging in age from 62 to 70 years for the Zanskar trek culminating in the transverse of Shingo la at 16700 feet – We enjoyed 8 wonderful days of trekking and 3 on the road. We are happy to recommend Potala". "The Trek was excellent in all respects. The staff work well as a team and we enjoyed interacting with them. They dealt effectively with the fact that our ages ( 62-70 ) made us a bit slower than most groups. Sunder the cook prepared an amazing variety of tasty food. All equipment and arrangements worked as expected. We would definitely recommend Potala Adventurers". I’d like to thanks our guide Pritam for the excellent trek. He is a very good guide. Always in a good mood. He was helpful in all situations. During all the trip everything was really very fine. Thanks for him Zanskar Ladakh trekking was a real pleasure. n The guide organized a good team work with the staff and also made short and agreeable advise of us clients. He has a good skill in leading people. This was showed also by a good atmosphere in the group, in the staff and also he always made good contact with people we met. n The routing was also very nice and the guide always knew very well where to go, where we are and how much time the hike still takes. n Special wishes from our side have been considered like watching the final world’s football cup. Also I got good information about nature – culture.
" 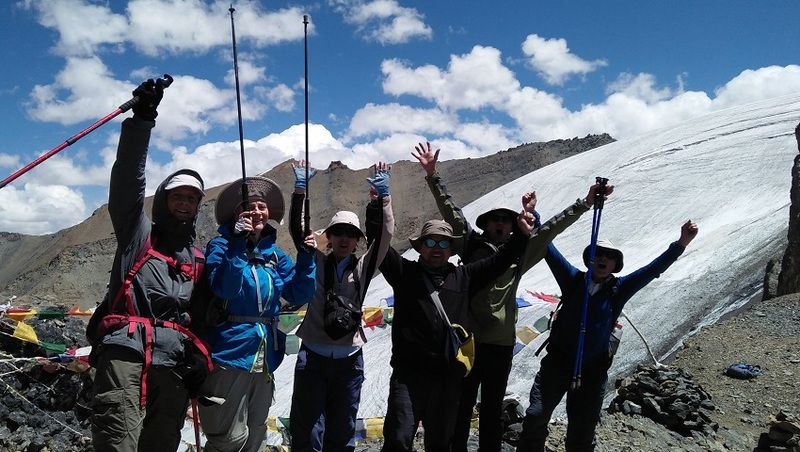 From 16th July till 5th of August we did great Zanskar trek organise by Potala Adventures. Not only the trek was amazing, the crew cook, guide and horseman were brilliant and absolutely professional. 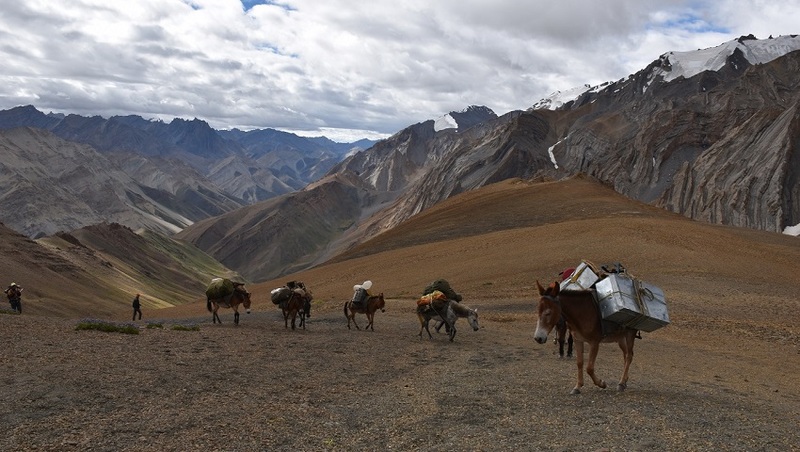 whole 3 weeks through Zanskar was an unforgettable adventure".
" We would like to express our greatest appreciation to all the efforts made by Govinda, Chin and Prem in making all aspects of our treck and climb enjoyable and memorable. The food was of outstanding quality and was always varied, plenty full and very tasty. At all time Govinda, Chin and Prem went out of their way to make sure that we were comfortable. In Particular we would like to express our appreciation for Govinda, who is an excellent guide - polite, cheerful and enthusiastic at all time. He was great company to be with and we both feel privileged to have met him. Our experience has been truly a memorable one. The scenery has been a incredible, the interactions with other travellers most enjoyable, and the service provided by our guide, cook and pony man were exceptional. Our guide Sanjay, has been without a doubt, the most accommodating and helpful in every way; Krishan, our cook created fresh culinary masterpiece each day ( include a surprise anniversary cake ) ; and omu our pony man, was most gracious in every way. We highly recommend Potala Adventures to all world travellers.
" At first, let's thanks you for our trek, it was a big interesting experience with really a kind people than Sanjay (always ready to help). Prem (who can made all food for you was like a magician), and Sonam ( shyest horseman in all the Himalayan mountains). They are discreet, helpful, always smiling all the things which is necessary to have good time. We really enjoyed our trip, and sure that we will keep your address for us or friends who would like to discover Ladakh. 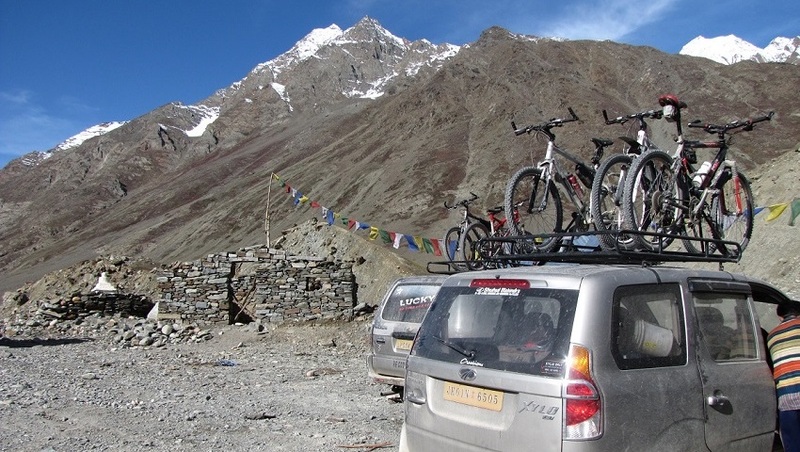 And we hope, we can come back later in this place to discover another part of Ladakh. Thanks lot, jullay . 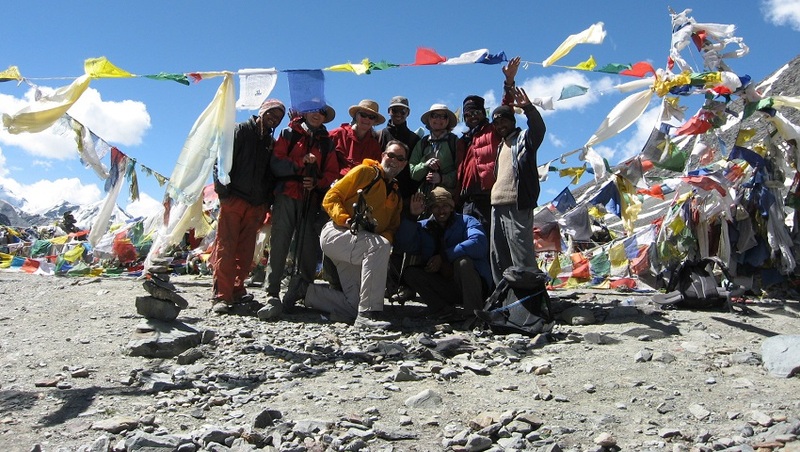 "The team we are perfectly satisfied of the trek and its organisation. The team was quite efficient and also very kind scrupulous and mindful of everything. We appreciate to have realised all that was planned and respected the schedule. The landscape were beautiful and we like also the visit of monasteries. 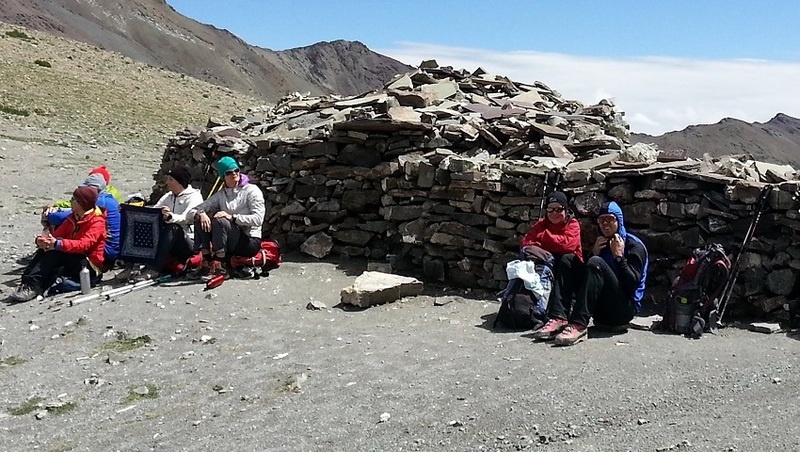 We were glad also to notice that it was possible discuss alternating possibilities for the part of the itinerary and that they were studied careful (like possibilities of making Stok-kangri ascent at Stok valley ). We had a feeling of good communication with our team and it was very pleasant. I also congratulate also for the good quality and various cooking. 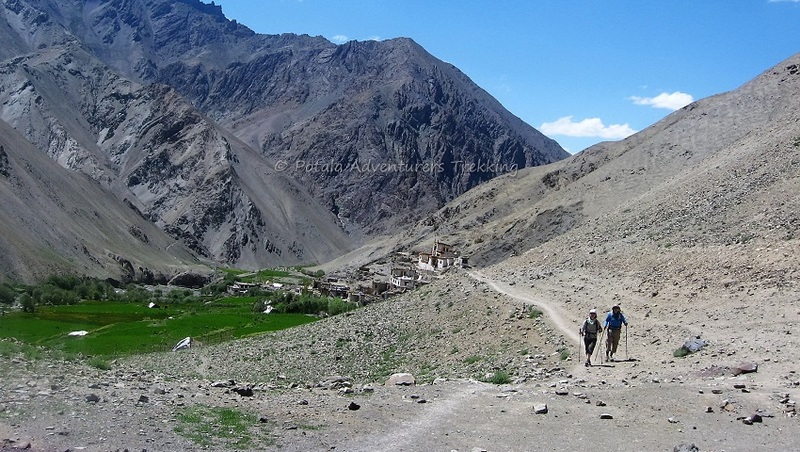 So our trek was perfect and we had a marvellous of Ladakh and Zaskar". 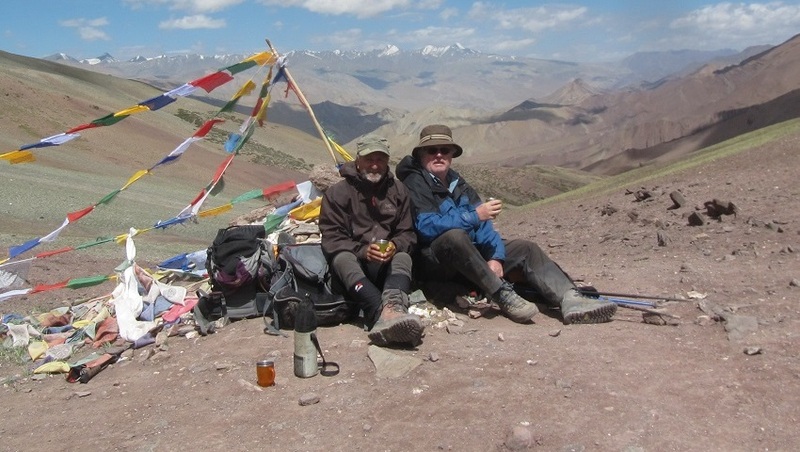 "Perfect ascent of Stok Kangri in a 4 days climb from Leh. One week in the area of Leh is a perfect acclimatisation. Base and advanced base camp in surrounded by beautiful nature. 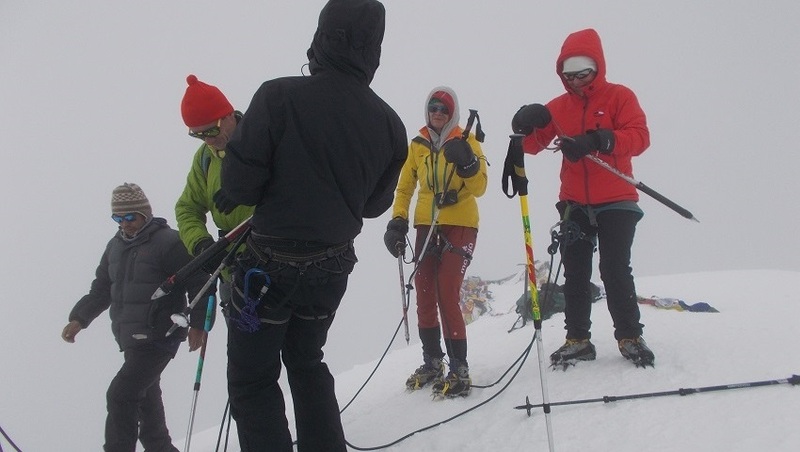 The summit of the elegant 6153 meter mountain is steep but without technical difficulty. The guide knows how to let enjoy this lovely country with surprises of lovely food and friendship with I 'll never forget. This experience asks for another visit. When you saw already mountains all over the world, you must go to Ladakh and ask for this guide ! " " Overall, the trek went very well, spectacular scenery, fascinating gompas, a look at rural life. Karma cooked excellent food throughout, even when the supplies i.e. vegetable, ran low, as we were unable to buy supplies in Padum ( due to circumstances at Kargil ). He structured the trek, to avoid very long, difficult days, assisted with river crossing and was very helpful. Vilati is an excellent and efficient pony man. He treated the animals well when unwell and particularly impressed with getting over Shingo La so early in season (May). Also to Prem for assisting up until this stage over pass and for cleaning up campsite it was very good to see this attitude to the environment 5 sacks of other begs as rubbish at Zanskar Sumdo. Tsering did an excellent job thanks also for assistance with translating throughout . 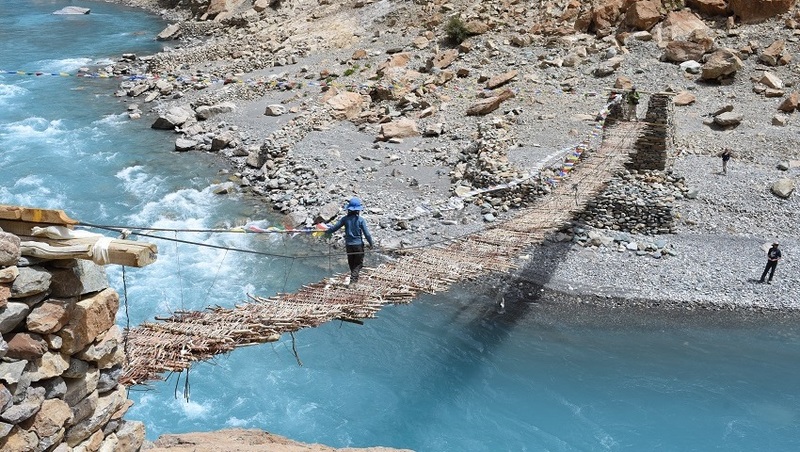 "We did the beautiful and very scenic trek from Darcha to Padum. It was not only good because of the scenery but especially of the good relationship we had with our horseman and our guide who was on the same time an excellent. We had many various dishes from India, China and local Zanskarian food. The whole trek was a big experience. Our guide gave us the possibility to get a deep look in the daily life of the Zanskarian people. 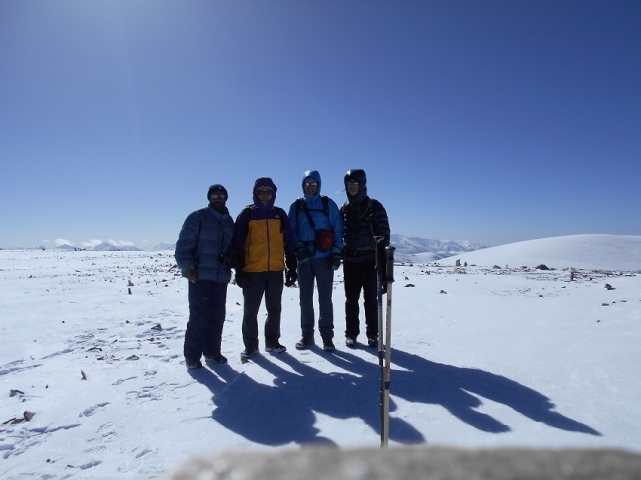 We can just thank our trekking team for those wonderful days and want to recommend them highly" . 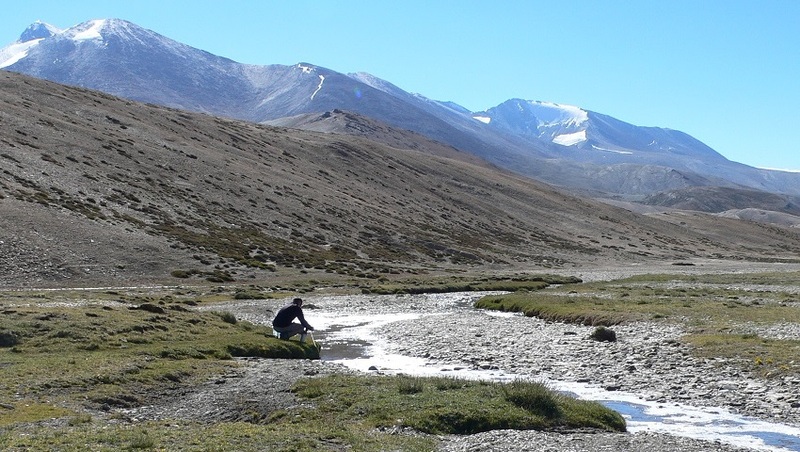 "The Darcha Padum trek is wanderful and not too strenuous, other than Shingo La pass. Tashi was a friendly guide, keeping up good humour in the group. Very nice. They all cooked up dhal, soups, samosas etc and the hot chocolate went down a treat. Nurbu , the helper was excellent, very helpful and friendly. And the horseman too were good members of the group, horses and luggage arrived safely every evening. Thank you". Nous avons fait ce trek avec « Tifaine » et Carlson » , respectivement guide et cuisinier. Ils sont tous charmants, plein d’attention. Le trek n’est pas très dur pour les gens entrainés. Pour moi l’enfer (parfois). Je vous recommande donc vivement cette agence. "Dear Traveller, we went on the most amazing 16 days trek from other side of Rohtang Pass. Through Lahoul and Spiti and over Parang La and pass at 18.300 ft to the lake Tso Moriri and ending up at Pang on the Manali Leh road. It was a demanding but fabulous trek which I highly recommend to anyone who wants a real adventure. Our guide Prem and cook Lobsang were excellent, they took very good care of us and were great company as well. I highly recommend to anyone who wants a well organized and exciting trek" . 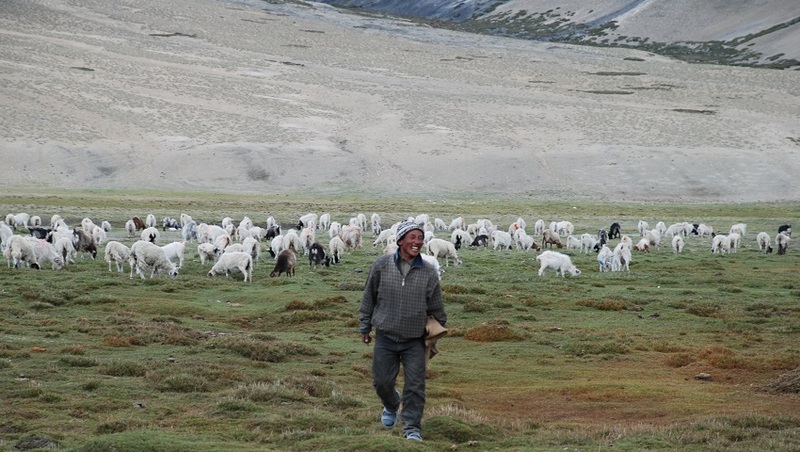 "At first I had no intention of using a trekking agency to backpack from Darcha to Lamayuru. 20 minutes in the Potala Adventurers office changed my mind. They are by far the friendiest agency in Manali. Our on the trail they provide more of an experience then I could have hoped for. Urgen and crew are an exceptional choice of the villagers you pass through, especially if you want a chilled pitcher of Chang at the end of the day. All in all, highly recommended. The only choice if you ask me". Ryan Damron, San Francisco, USA. 1. 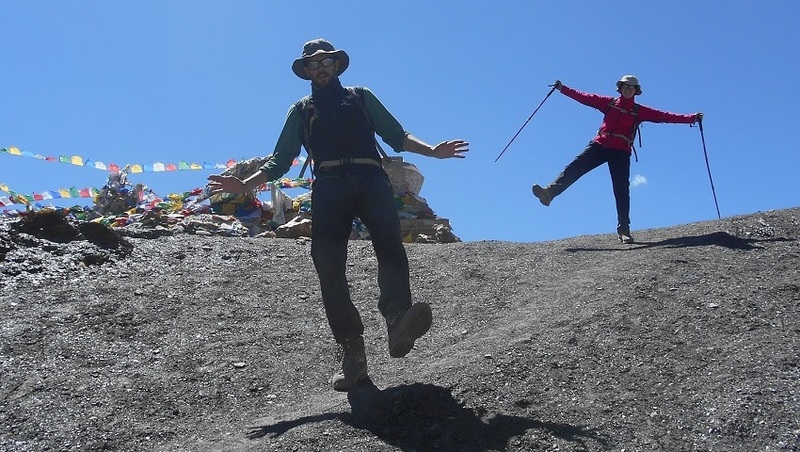 "We would have no hesitation in recommending Potala Adventurers for wilderness trekking during our 22 days using them we found then to be honest, reliable and professional. I am sure anybody using their services will not leave them disappointed". 2." A great trek with great scenery and beautiful camp spots. We were thoroughly spoiled with excellent food, excellent camping and excellent cards games. We were all looked after by the Potala team and I hope to trek with them again one day. Wonderful". 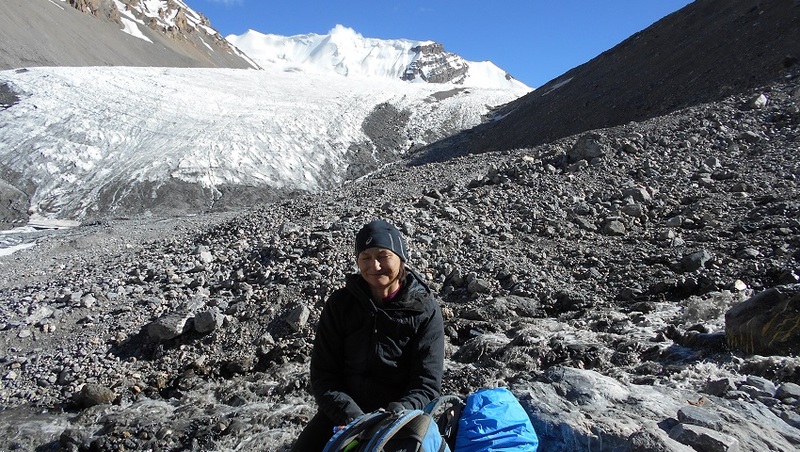 "Done 22 day trek with Tenzin. He had unlimited strength to keep the motivation going. Especially on the high passes. We had tea / coffee brought to us in bed every morning and we got fed like kings. Also Tenzin (horse man) carried our guitar on his back for 10 days which we were very grateful. For all in all we had a very great time and hopefully I will come back and do it again". "I was so happy to be in the same group as Thomas and Ulike and get to know Tempa their cooker. He served different kinds of food everyday and also let us taste it. I'll think he must be the best cooker in your company. He also have a very nice attitude and make everybody feel very welcome. He is a very good, warm friendly interesting man. We all would like to see again". "Raaj and Karma from Potala Adventurers in Manali were treating us with excellent guidance and delicious food during our 22nd day trek from Darcha to Lamayuru. The food was well prepared and the variation amazingly. We highly recommend Potala Adventurers to everyone who wants " goazmet " food and cheerful guidance during the trek". 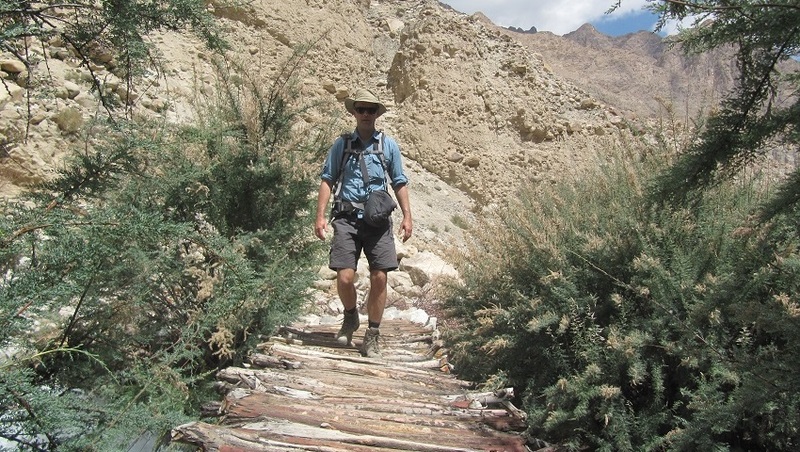 "Very enjoyable trek from Darcha to Padum via the Shingo La. Stunning scenery and breathtaking views of the mountains. Very well organised tour and good value for money. Excellent. Thank you. " 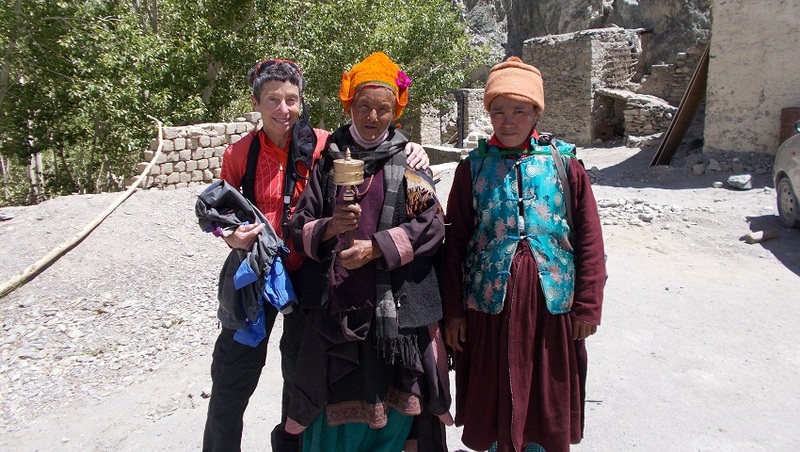 "Tashi was always very cheerful and positive during the trek and handy with the beedies when they were needed. His cooking is very tasty and filling. Norbu was a great helper always working very hard and doing his best to please everyone. He was also very friendly and bouncy. Top marks to a great helper he should go far. I don't really know anything about horses but the horseman seemed to do their jobs well, although their singing needs improvement".